Susan Daitch is the author of two novels, L. C. and The Colorist, and a new book of stories, Storytown. She lives in New York City. Alexander Laurence: You have written a few novels, and now you have turned to short stories. Why did this happen? Susan Daitch: I'd been working on these stories intermittently for over ten years, while working on L. C. and The Colorist. Some of the stories were the result of assignments. "Analogue," for example was written for a video shot in the Wexner Art Center. Like other visual pieces commissioned for the opening of the building my story was intended to have a site specific relationship to the space designed by Peter Eisenman. I read his writings about architecture, about the design of that building in particular, as well as his correspondence with Jacques Derrida. The resulting piece, "Analogue," made references to some of Eisenman's concerns: the Gothic components present in the "ghost" of the previous building, an armory which had burned down on the site of the Wexner Center, and referring to his interest in Duchamp I used Rrose Selavy as a character. I also used elements from the Henry James story "The Turn of The Screw" in which apparitions were sited in particularly Gothic spaces. "Fishwanda" was also an assigned project written for an anthology, So Very English. Each story in the book was meant to comment on Englishness in some way, but most of the contributors weren't from the U.K. After a stab at placing some Americans in London in the first sections I reversed the circumstances and, drawing stories from their biographies, wrote about Eleanor Marx visiting the Lower East Side and Oscar Wilde's fascination with Coney Island. "On Habit" was written for a Documents magazine survey on habits. "Scissors and Rocks" was written for the "Rhetorical Image" exhibition at the New Museum, a show about how artists of different generations and backgrounds address political issues in their work. AL: In some of these stories you are very interested in the idea of home and with architectural elements. SD: Hitchcock and David Lynch have written about how they wanted to subvert the image of the iconographic suburban house behind a picket fence, to reveal perverse goings on within it. Suburbs really aren't my landscape but what kind of theater does a house present for its inhabitants? What are safe spaces, what are uncanny ones and why? In "Aedicule" a house-like box offers shelter for an illegal alien, in "Storytown" the house-like structures are parodies and offer no shelter. When is a house not a house? I've just finished reading The Grid by Philip Kerr about an intelligent, that is to say completely computerized, office building who becomes a serial killer. It's miss-your-stop subway reading. AL: You have these stories where you write about characters on the periphery, characters that are doing odd jobs, who you might not notice right away. People that you don't read too much about. Why do you write about these people? SD: I was more interested in the person who adjusts the microphone than the one speaking into it. Don't you ever think, it's someone's job to do that, to color comic frames or assemble those Statues of Liberty? Some of the stories come from those kinds of questions. In "Asylum" two people work in rooms next to one another, translating subtitles for films. One of the translators, Krelnikov, can't watch a potentially violent scene in a German language film. The setting is based on Bladerunner but the inhabitants, the squatters in the abandoned hotel, are Vietnamese stalked by a man who's maybe a skinhead, maybe not. It's left somewhat vague because the movie itself doesn't matter. I didn't want to say why Krelnikov can't watch the scene but because of his name, his age and the implied year of immigration to New York, one can intuit that he's witnessed certain things. He prefers to translate movies about people given second chances, It's a Wonderful Life, Wings of Desire, films like that. Eve, the translator in the next room, will watch anything that moves. AL: How do you fit this idea of "avant-pop?" I see it as a blurring the boundaries of pop culture and art. Several of these writer have been born in the age of television and under the influence of computers. SD: I think that when you put writers in groups, usually they don't fit entirely as if they have one foot in that sensibility and one foot somewhere else that has nothing to do with it. Every other day my stories are avant-pop and every other day they aren't. It's very much a boy's club, but what isn't? Sometimes I need a certain kind of logic: people have to be doing something. I need that kind of justification. On the other hand I'm always accused of writing flat characters. I'm not sure what people mean when they say "characters" because of course they're flat, there on pieces of paper! Maybe someday someone will explain to me what they mean when they say "3-D characters." AL: There's the conventions of storytelling that has beginning, middle, end, and you can lose the fact that it's fiction. Your stories often have little dialogue and your always aware of the act of reading. SD: The conventions of storytelling are very seductive but can be at odds with the whole idea of whether you want to advance the form which, if you do, tends to mean throwing a wrench in those alluring works. Suspense matters in any case, it makes us turn the pages and the construction of suspense often relies on a certain amount of narrative predictability, certain conventions the reader thinks he or she knows before the rug is pulled out from under. Hitchcock's Truffaut interviews were very instructive to me. Sometimes I think the process of patching together fictions which have their own logic isn't very different from solving math problems or puzzles. The relationship between Georges Perec's books, for example, and puzzles is pretty transparent. AL: That reminds me Alain Robbe-Grillet's idea of revolutionary forms inciting some sort of revolutionary ideas in culture, which is sort of a Marxist and Surrealist thought I guess. You were influenced by that? 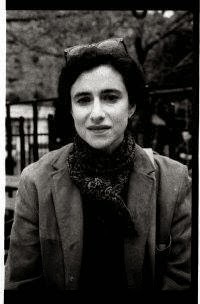 SD: I think that the writers that influenced when I first started writing came out of those Nouveau Roman and Oulipo groups: Georges Perec especially, and Nathalie Sarraute's Tropisms was a huge influence. There's a lot of reality out there, and people make choices. People are always manipulating form. The whole point is to edit reality into this propagandistic shape that you want. I'm a practicioner of this too. Even Robbe-Grillet's lapidary attention to detail was a way of delivering an experience. Also Italo Svevo who was groupless as far as I know. AL: In some of those novels the process is revealed as your reading it, and you can see the architecture. How are you similar? SD: Yes. I am very interested in how characters know what they know, how information is arrived at. The characters in "Storytown" have very limited access to the world outside their town. Despite the obvious things, television, movies and so on, that would give them a picture, an idea of what Lebanon, for example, might be like they don't ever get it. Anything not particularly identifiable as American is an opaque culture to them, ridiculous and undefined, impossible. One of the characters joins the marines and is sent to Lebanon just before the marine barracks are to be bombed. He's ignorant of the place he's sent and never questions why he's being shipped across the Atlantic when he could just as easily been sent to the missile base up the lake. His friend Alice's ideas about the world are mediated through what used to be called Late Night Movies on television. Her atlas is very limited, and her sense of geography is like medieval maps where Spain is enormous and Mexico is a speck. Storytown is an actual amusement park near Lake George in upstate New York. I spent most of my childhood not far from it, and the town of Spartacus which appears briefly in L. C. and the Dreyfus book I'm working on now is based on this place. The "cultural workers" here, if you want to call them that, are very different from the other stories. Actually there's a character in "Incunabula #2" a temp who works in a museum basement during the Christmas rush whose brother has a job in Storytown. She works in the basement of the Metropolitan as a temp. Some of the stories are interconnected. AL: So many of these stories take place in a very urban New York City though, and I was wondering why that was? SD: I love this geography and feel, though I'm not from New York, that this is an addictive, delirious landscape with its constant destruction and rebuilding, populated not just by immigrants but by emigrants who contribute to that process. Benjamin wrote of what he called the fateful pleasures to be enjoyed and enormous anxieties to be overcome in discovering a city. Storytown itself was a kind of proto city, a semi-urban space inhabited by characters from books, while its neighbor Frontiertown was a nascent city also inhabited by characters from stories. You paid one admission to get into both. The city, New York, is a tremendously vilified landscape, the source of terrible social experimentation according to the Christian right, and in constant need of make overs according to fantastically greedy developers who try to make New York look like every other city. Still, for the moment, those "fateful pleasures" seem to have a tenacious foothold. AL: As a writer who is also a woman, do you think that this is an issue the many readers should bear in mind? SD: I'm not sure how it could not be an important issue. People have certain expectations of books that are written by women, that they'll be in this certain domain of sentimental realism. It's not easy. I am usually subverting these expectations which are reinforced by the publishing industry. That's what they perceive will sell books. Women find a different set of problems than men when you try to get your work out there. That's not imaginary. There were three women in The Avant-Pop Anthology, and you look at a lot of journals of find the same imbalance.